For a girl, her wedding day is undoubtedly the most special day of her life. And for a bride, an amazing wedding dress makes all the difference! When the dress has been carefully chosen, it is important for every bride to feel beautiful, confident and comfortable on her big day. ZENA Bridal Salon in Dimapur, Nagaland is the perfect store to explore for every bride-to-be in search for her perfect gown and everything else for her special day! 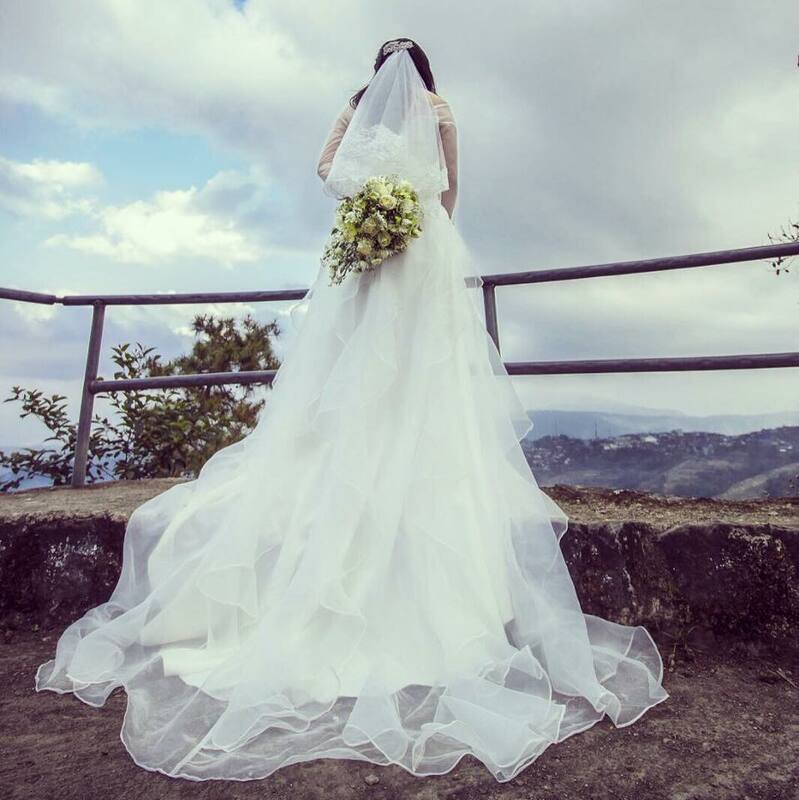 Here’s a chat with owner Zena Marie Kire to know more about her, and her bridal shop in Nagaland. 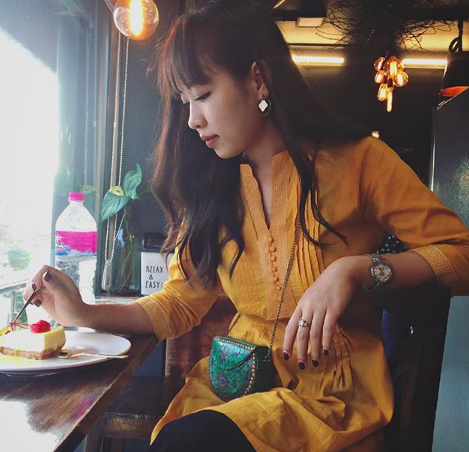 Today, we are happy to have with us Zena Marie Kire, from Nagaland – owner of ZENA Bridal Salon in Dimapur. She talks about the importance of making the bride-to-be feel extra special through her vast selection of wedding gowns – and the shopping experience itself. Zena Marie Kire is the owner of Zena Bridal Salon, Nagaland. Hi Zena! Introduce yourself and tell us a little about your background. Hi! I’m Zena Marie Kire and I’m the owner of ZENA Bridal. I am currently based in Dimapur, Nagaland but prior to this, I was living in Kuala Lumpur, Malaysia. I have always been interested in fashion, and more importantly bridal wear. The thought that I can help a woman realize her bridal dreams come par to none for me and the idea of opening this store had always been at the back of my mind. But I needed to gain some knowledge and experience before, so I got my Bachelors degree in Fashion & Retail from Limkokwing University of Creative Technology in Kuala Lumpur, Malaysia. 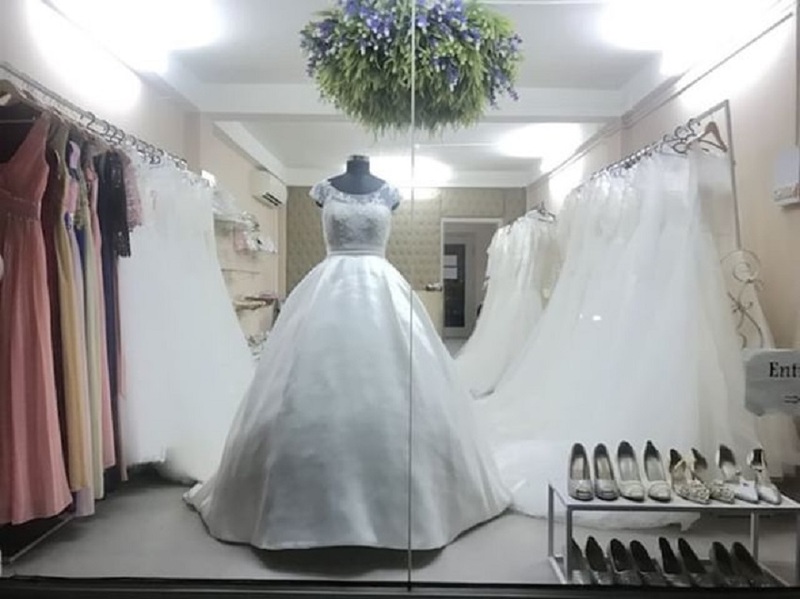 A look inside Zena’s Bridal shop in Dimapur, Nagaland. Tell us more about your store, ZENA Bridal. What is special about it? 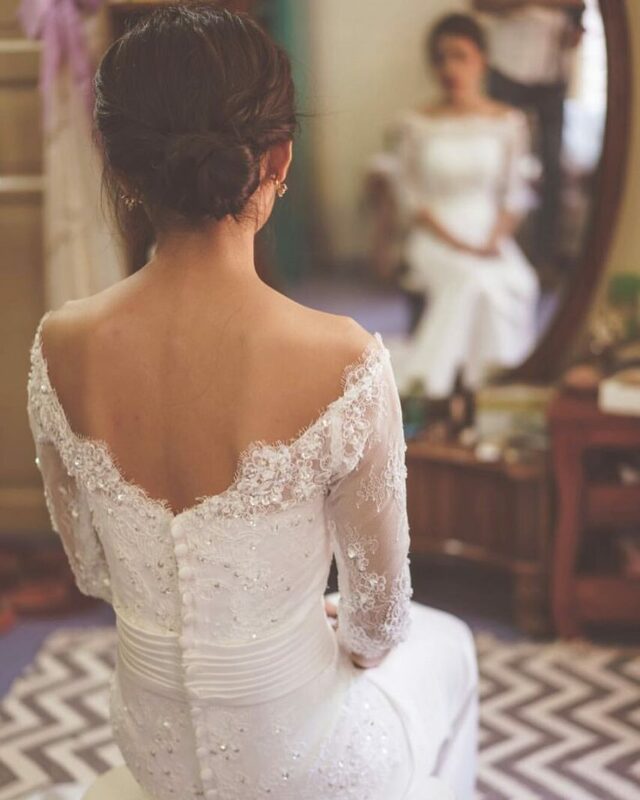 A beautiful bride wears a gown from Zena’s bridal collection. 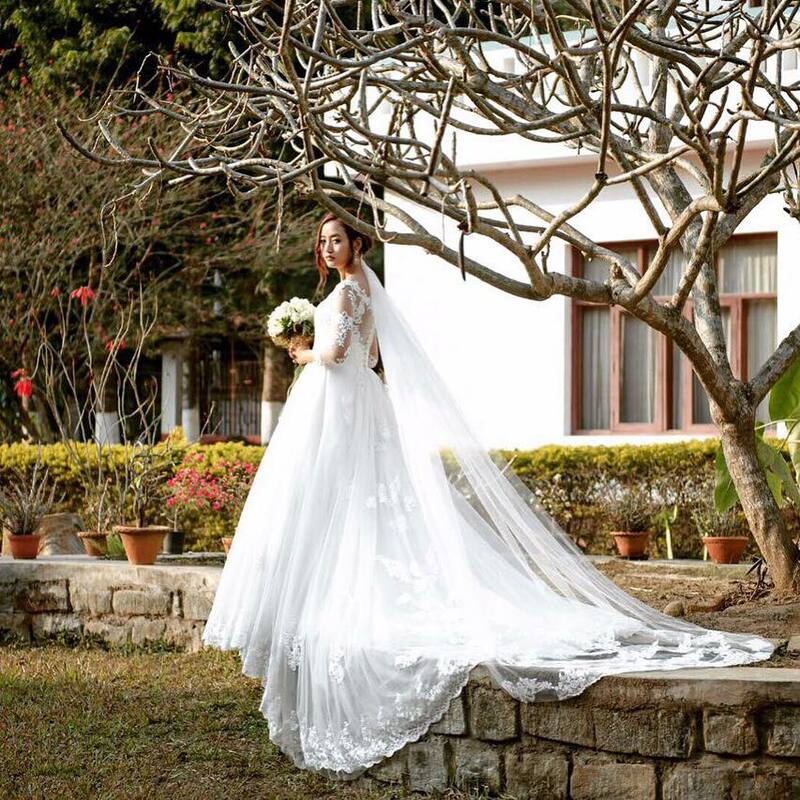 A beautiful bride wears a gown from Zena bridal’s collection. What is the story behind the name and what is the brand concept? The name ZENA was pretty simple as it’s named after me 🙂 However, the meaning behind it relays just as much as the very foundation upon which our business is built. ZENA means ‘hospitable and welcoming’ and that is exactly what the store is meant to feel like. As mentioned earlier, our store focuses on customer service and that is the backbone of our brand concept. 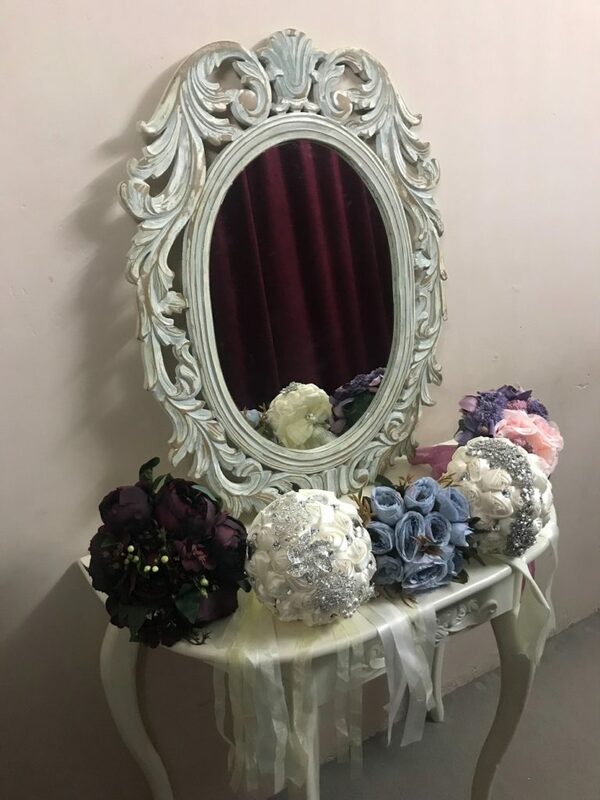 ZENA Bridal is meant to be a haven of sorts for brides, a place they can get all their wedding day apparels and accessories from while they can be sure that we will deliver just what they need and want. Variety of beautiful bridal bouquets displayed at ZENA Bridal Salon. How did you come up with the idea of your store? What was the inspiration? Travel is my passion. Whenever I get a chance to pack my bags and explore, I grab the opportunity. After experiencing different cultures and destinations during my travels, I observed a huge lack of focus on customer service in the stores in Nagaland. Best stores across the world are the ones that have the best customer service. 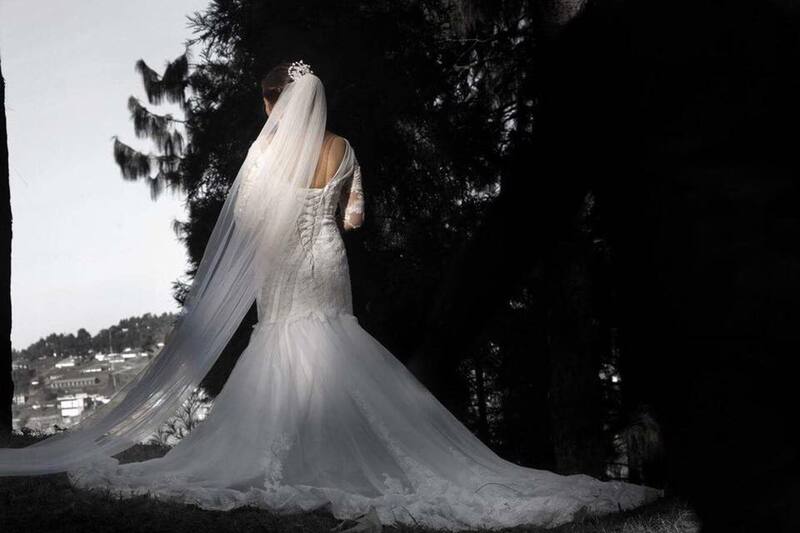 Beautiful wedding gown worn by Zena’s client on her wedding day. Even as a child, while growing up, I was been exposed to different cultures, ethnicities, and backgrounds. I believe that has enabled me to communicate and adapt to various customers and their needs. I’ve learned that keeping an open-mind helps me to serve my brides more efficiently. What has been the biggest challenge you’ve faced in your journey? Also tell us about some key learnings so far. As far as my brides are concerned, each new bride I work with is a challenge on its own. Each bride has a different personality, needs and visions etc. It’s my job to understand what she needs at that point and deliver it. No bride brings more challenges than the other and all are equally the same. 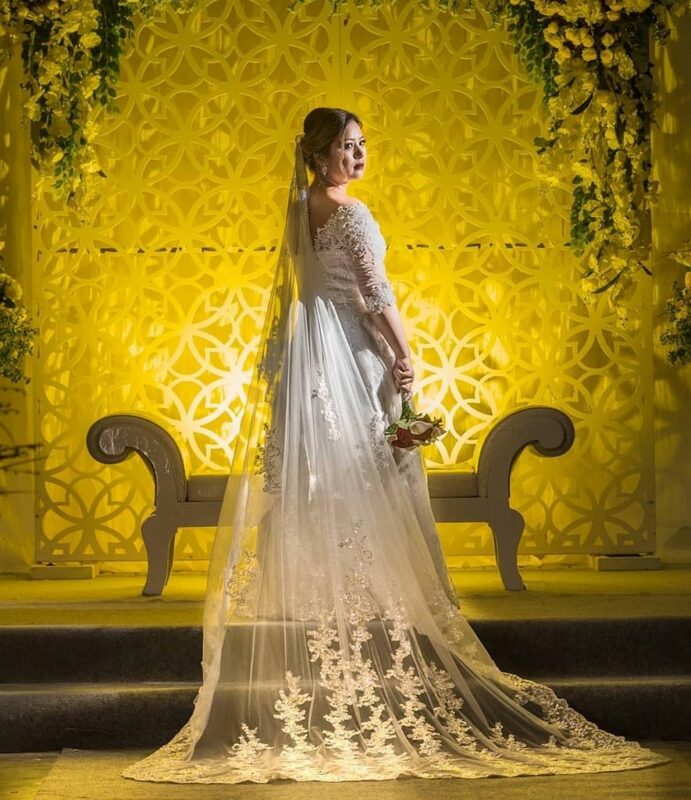 A bride wearing a piece from Zena bridal’s collection. Tell us about some of the products you sell and the special services you provide. 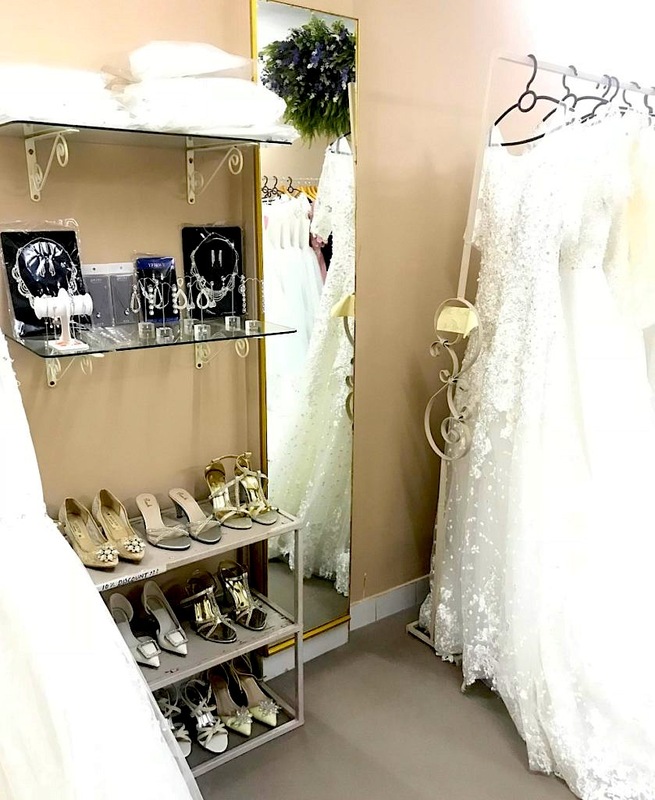 We store a wide variety of wedding gowns, shoes, veils, gloves, hair accessories, jewellery, coloured gowns and intimates that every bride needs. I shortlist products based on current fashion trends and most importantly, the needs of my brides. Each item is handpicked keeping with my clientele in mind. Each bride has a specific purpose for choosing a specific design or silhouette, so I work with everyone to understand what she has in mind so that I am equipped to cater to all her needs. As mentioned earlier, we are just as much about the service as we are about our products. Browsing inside ZENA Bridal shop you’ll see beautiful wedding accessories, shoes and wedding gowns. Where can we buy them? Any special mention about your products. People can walk into my store, ZENA Bridal in Dimapur, Nagaland. Monday to Saturday, 9 am – 6 pm. At this juncture, I only serve brides at my store, as I believe wedding gowns require a personal touch and I do not want to limit my availability to the brides. A bride wearing a beautiful custom gown by Zena’s bridal collection. 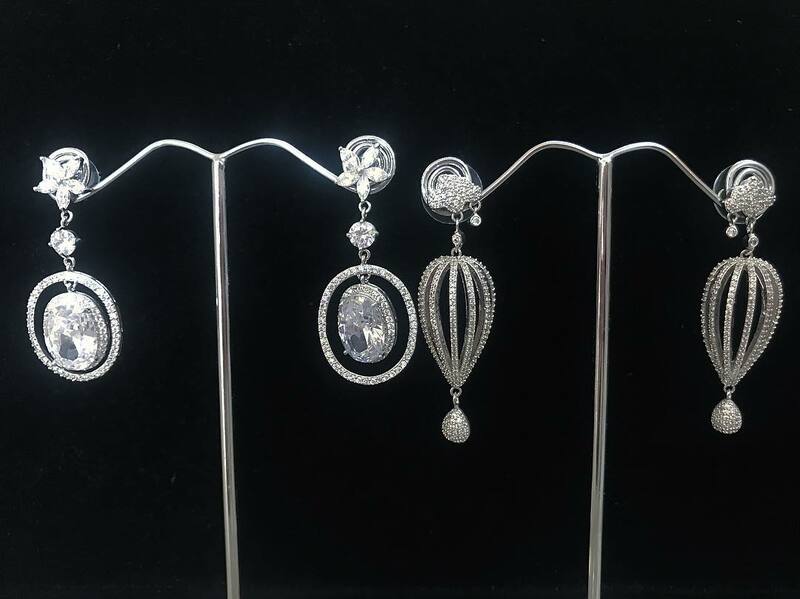 Drop earrings especially sourced for the brides by Zena. If you’re a soon-to-be bride, then do visit ZENA Bridal Salon at Walford Road (opposite Mahindra showroom) in Dimapur, Nagaland. Also be sure to check out more from them by following them on Instagram and Facebook. Previous Post#RECIPE | Manipuri Dish – Spicy Fermented Pork with Escargot (Tharoi) . Next PostEverything You Need to Know About The Hornbill Festival, Nagaland 2018 | How To Get There, Where To Stay, What to Expect and More!